While conducting a seismic survey for an Indonesian Oil company, Hans Berekoven came up with a wild idea. The shallow depth of the self made it the ideal location for a possible Ice-Age Civilization. With the discovery of a sunken city in the Bay of Cambay, off the coast of Gujarat, India, Hans knew it was time to put his theories to the test. Due to Hans’s lifelong interest in Archaeology Sciences and Philosophy he had an intuitive sense that the Sunda Shelf had once been the seat of a great civilization. He had professed this to many and hoped that one day it would be proven. He also realized that the migration patterns as per current anthropology theories where out of date. That India was the first post Ice Age civilization not Mesopotamia. Then in 2002 a sunken city was found in the Bay of Cambay in the state of Gujarat, north of Bombay. This City was 30km offshore and in 40m of water. Artifacts from this city have been carbon dated at 9,500 years and some going back as far as 13,000 years. So we traveled to India to the NIOT Institute in Chennai to see for ourselves. We interviewed the persons involved and viewed all of the artifacts for ourselves.It was early days for this project and a great deal more has to be done before this can be considered a proven find but we were encouraged by what we saw. 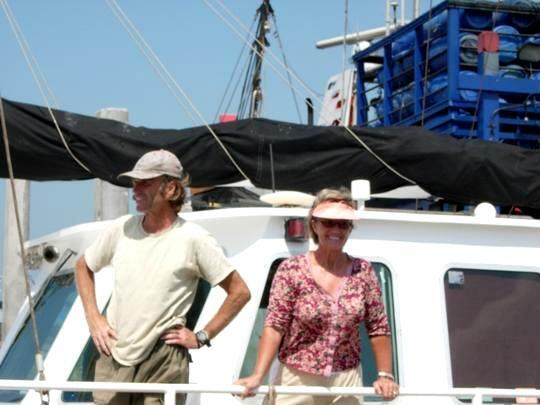 Hans and his wife Roze sold their successful business back in Australia to purchase survey equipment and a 19 meter Ketch, Southern Sun. With their two young children in tow they set out on their quest to explore the seas around Indonesia and Malaysia. Hans could no longer wait for someone else to “find it” he would have to go himself. 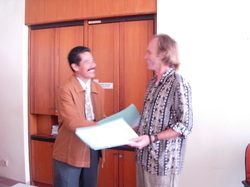 Our Australian Embassy worked hard representing us to achieve permissions to survey the Sunda Shelf. With the help of our Local Member of Parliament we submitted a proposal to LIPI ( the Academy of Sciences that approve Foreign Research in Indonesia) This local Member had a mapping and survey agency of his own before going into politics and could see the potential of our project. It was an opportunity for both the Australian & Indonesian governments to work together on an important International project. The Local Member also knew that if anyone could do this we could as he had seen us develop tourism in a wool & timber region. In fact he had himself presented us with two of the three awards we had won for our work. After more than 2 years of lobbying we received the permissions to go ahead with the survey but with conditions. It was our intention to use our own vessel Southern Sun a 62ft motor sailor and a very economical vessel. We had accepted that we would have one security guard and one survey specialist on board at our expense but now the Indonesian Government wanted us to use their research vessel. Where as Southern Sun could pull a side scan sonar all day and use only 100 liters of fuel the fuel consumption of the research vessel was more like 3,000 liters per day. LIPI also wanted to put about 20 crew on board….the cost projections were multiplying. 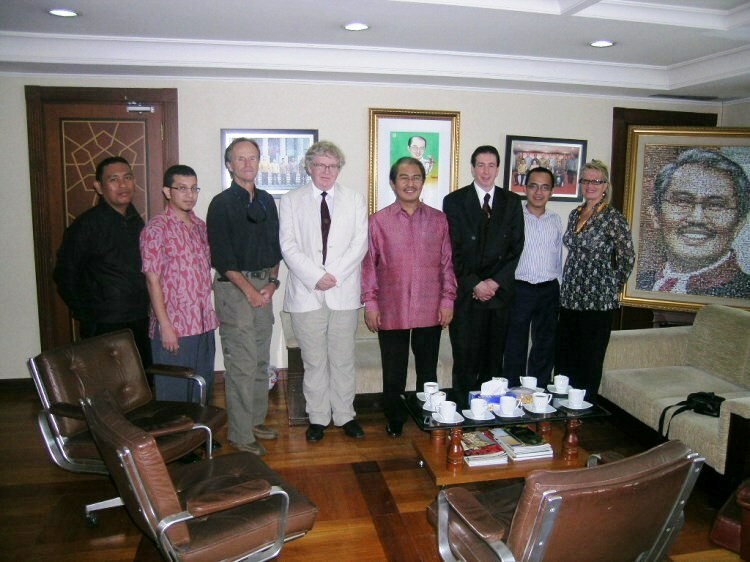 In hindsight we should have accepted the Indonesian Governments conditions and lobbied for funding. We did not personally have the funds to support such a large expedition and we knew that finding funding would be difficult and very time consuming. So with some disappointment we sailed on to Sarawak Malaysian Borneo to do a sonar survey of the Rajang River Extension. This river ran along the Sunda Shelf during the last Ice Age curving to the north and emptying into the sea to the west of what is now referred to as the Laconia Shoals. We spent months sonar surveying this Paleo Channel but found nothing to indicate prehistoric human activity. This theory first gain prominence with the publication of Stephen Oppenheimer’s book, Eden in the East, 12 years ago. From a synthesis of disciplines including oceanography, archaeology, anthropology, linguistics, genetics and mythology, Oppenheimer postulates that there was an original Ice-Age culture in the region he calls Sundaland. Base on this evidence, that would make the region of Sundaland the cradle of a lost ‘founder’ civilization from which all post Ice-Age Asian civilizations came from. More recently a new book published by the late Professor Arysio Santos makes claim that the region of Sundaland is actually the site of the lost continent of Atlantis. Now with renewed interest in our Sunda Shelf Archaeology Project due to the release of Prof. Arysio Santos book “Atlantis The Lost Continent Finally Found” we felt it was time to seriously investigate these claims. Prof Santos has sadly passed away but his booked has been published and is being promoted by his friend Frank Joseph Hoff. 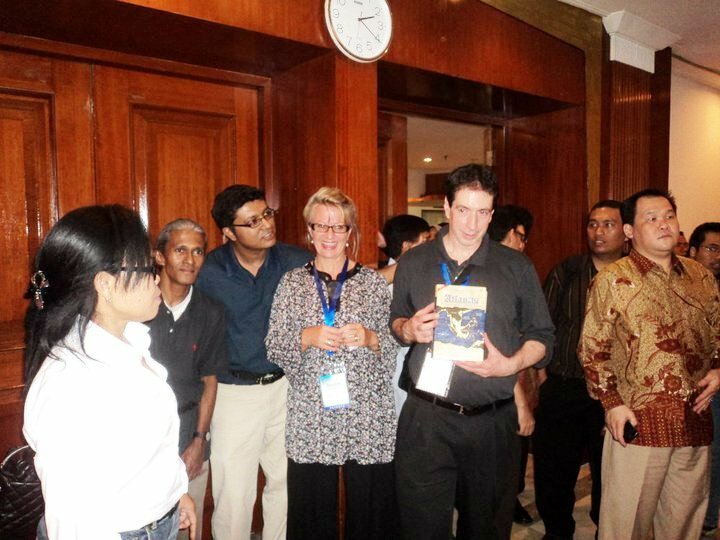 The Indonesians have shown enough interest to have signed a book deal with Mr. Hoff and the book has been translated into Bahasa. 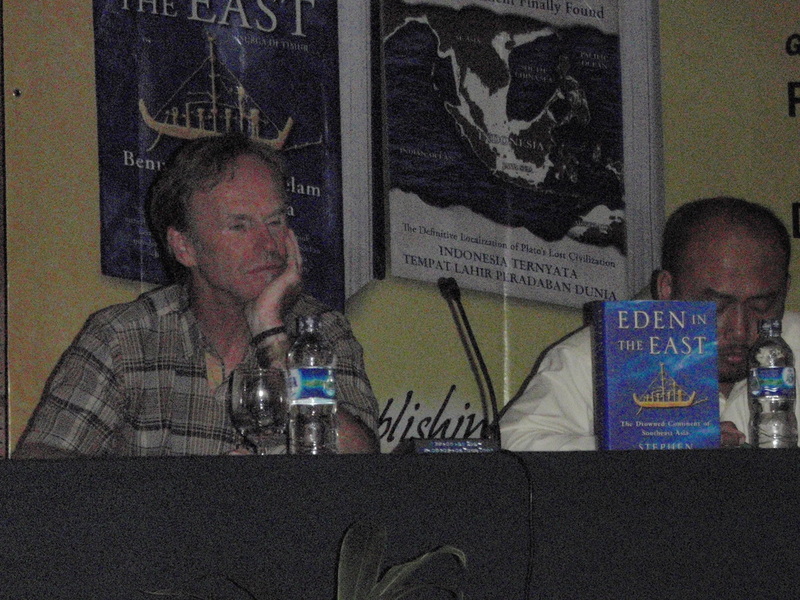 http://www.atlan.org/ The Professor, like us claimed that the Sunda Shelf is the site for a prehistoric civilization. The Atlantis Civilization no less! All of this interest surrounding the ancient history of this region has come to the attention of the Indonesian government, who have even signed an MOU with the Berekoven's to explore the Sunda Self. 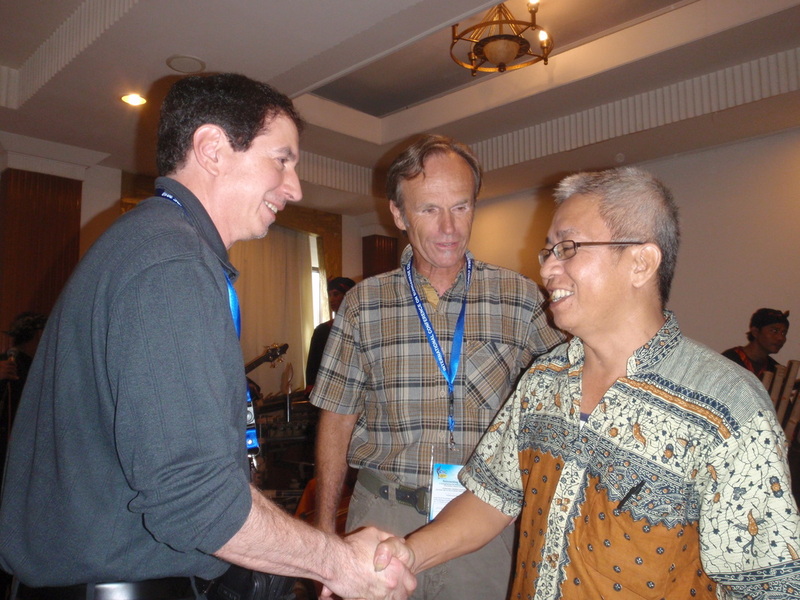 In October of 2010, Indonesia hosted an International conference on Nature, Philosophy and Culture of Ancient Sunda Civilization, in cooperation with the Indonesian National Commission for UNESCO, in Bogor, Java. Some of the key guests attending the conference included Dr. Stephen Oppenheimer, Frank Joseph Hoff representing the late Professor Santos and Hans and Roze Berekoven.